You’re in a hurry. We get it. After all, you’ve had the idea for your book rolling around in your head for decades and finally you’ve gotten around to writing it. Why drag your heels now? You want that book in the hands of readers— the sooner the better. 1. Had your book edited for content? Every writer needs feedback from an impartial person coming to the material with fresh eyes. That’s the role of the content editor – someone who will read your book carefully and tell you what is working and what could use revision. Yes, this costs money. But so does printing a book that isn’t going to sell. Consider it an important investment that will help ensure your book’s success. 2. Hired a copyeditor? A copyeditor is the person who checks your final work to make sure everything is spelled correctly, the punctuation is perfect, you haven’t used words incorrectly, and so on. He/she is your safety net, as mistakes such as these will mark you as an amateur and doom your book to certain failure. Yes, this costs money, too. But so does a therapist once you’ve humiliated yourself by putting out a product riddled with errors eighth grade English students could catch. 3. Asked a professional to write the back cover copy? This is where readers go to see if they are interested in your book. When the copy is boring, awkward, or riddled with grammatical errors, you can kiss that sale goodbye. If you are a snappy writer who knows how to get to the point and summarize a story with verve and finesse, fine. Skip this step. If not, use a professional to write the story summary and author bio on the back of the book. 4. Purchased an ISBN? An ISBN is a cataloguing tool used by bookstores, libraries, online retailers and more. If you don’t have an ISBN (you’ll need one for every format of your book), you are at a distinct sales disadvantage. 5. Had a professional design your book cover? Sure, your daughter got A’s in middle school art class. But can she provide a cover that is just as sharp and tantalizing as the professional covers you see in the bookstore? Probably not. Cover design is an art unto itself. Hire a professional who knows the book world to ensure that the face of your book is as inviting as possible. 6. Made a marketing plan? : Books don’t sell themselves. How are you going to get your books into readers’ hands? This will take some serious brainstorming: Will you set up speaking engagements? Visit bookstore owners? Park your car near the baseball park and sell books out of your trunk? You will need to think this through before spending money printing a book that will otherwise have a lonely life in your garage. 7. Established a social media presence? Facebook, Twitter, Pinterest…these are all great ways to get the word out about your book. But if you wait until the book is printed, you’re already behind. 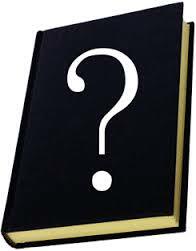 Set up your accounts while you’re in the writing process and start letting your followers know that the book is coming. Share some of your setbacks and triumphs with them. Then, once the book is out, you will already have a following that you can build on. 8. 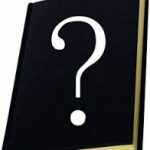 Built an author website? These days, any enterprise without a website lacks legitimacy in consumers’ minds. Before you publish your book, be sure you have a professional looking author website set up. Include tabs for: “About You,” “About the Book,” “Press and reviews,” “Purchase” and so on. 9. Planned for reviews? We live in an era when people look for reviews on everything from car mechanics to French restaurants. The more reviews you have for your book, the better. Plan to approach press outlets and bloggers before the book is officially published to aks if they will review your book. They will want an advanced copy so that the review will be ready when the book hits the shelves. And of course, paid companies like BlueInk are another option that can ensure your book receives a professional review. 10. Set up accounts on Amazon, Barnes & Noble, Indiebound? It’s important to have your book available at these popular selling venues. (Note that Indiebound, the independent booksellers website, is only for those selling physical books, no ebooks allowed.) Set up your author page, including your bio and story summary and be sure to update it with excerpts from any positive comments you receive once you send the book out for review. Can you say yes to all 10? If so, you are in excellent shape to succeed with your book. Time to publish and reap the rewards! May I add one more to your list? Don’t publish–don’t even start writing–until you have identified the target market for your book. Pinpoint the demographics and their passions/interests. Without this valuable information, you could be missing the mark entirely during the writing process. And you won’t know who to target during the marketing.